Got a fancy event coming up? Well we have you covered. 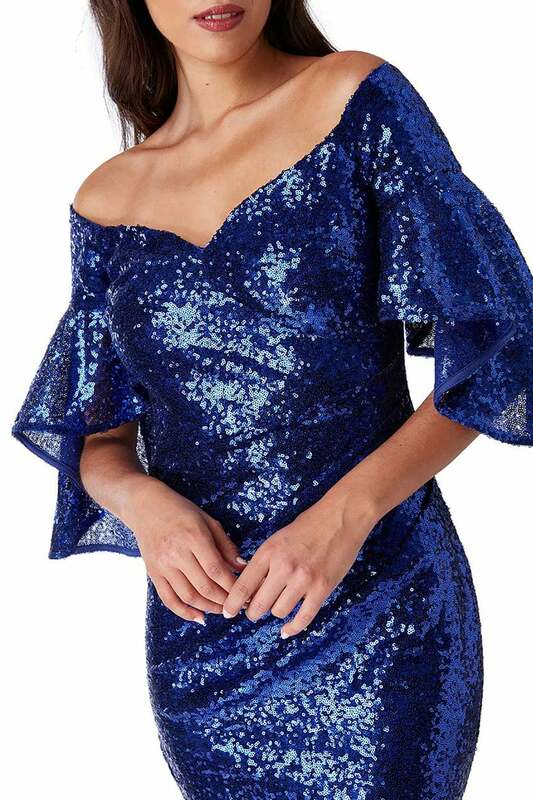 This captivating off the shoulder sequined maxi dress will have you looking the part at every occasion this party season. 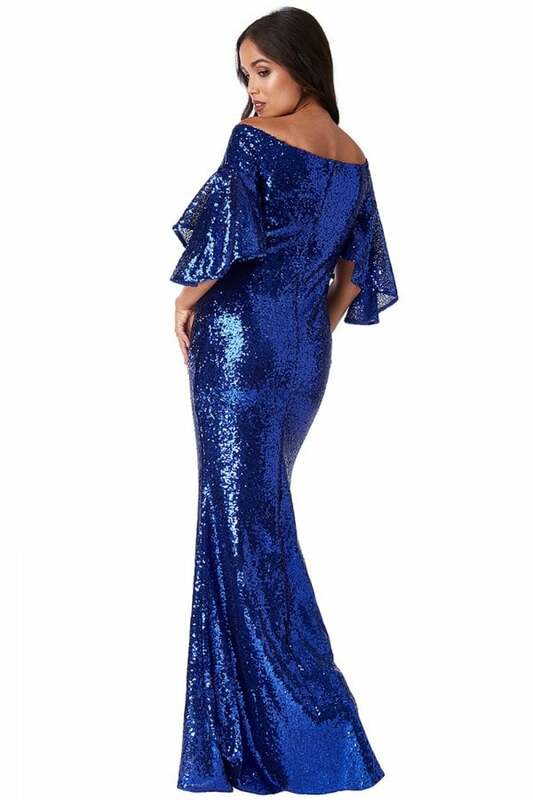 Its off the shoulder, sweetheart neckline brings elegance and class to such a simple but stunning royalblue long dress. The detailed fluted sleeves deliver a breath-taking feature to an already impressive formal dress. 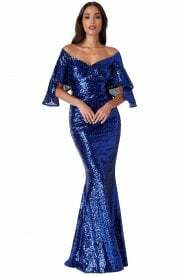 This striking sequined maxi dress is the obvious choice for any evening events, formal occasions; even for bridesmaids. The style of this green dress means it can be worn all year round – the ultimate winner.